[News] Fans are jealous of a girl who was taking a picture with Donghae at library! -Who"s that girl??????? Hiks hiks!!! -Donghae oppa Just Broke MY HEART~!! =( *crying* donghae why you!! I think she was teaching Donghae something? 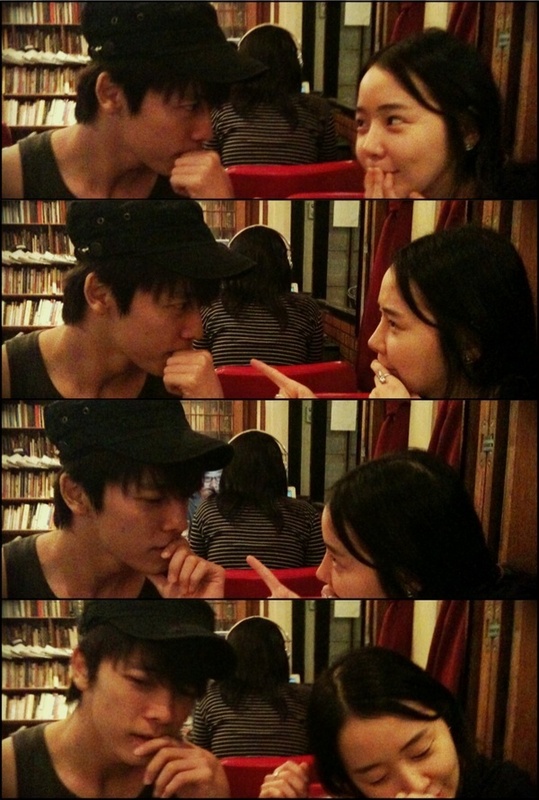 Probably about acting lesson, they look cute together and i hope that in the end, Donghae did learn something from Soy. ** Soy is a movie actress and VJ in Korea. The movies that she participated before were Scary Hair in year 2005 and The Cut at 2007 and of course others too. And she is also a former member of South Korean group T.T.Ma.